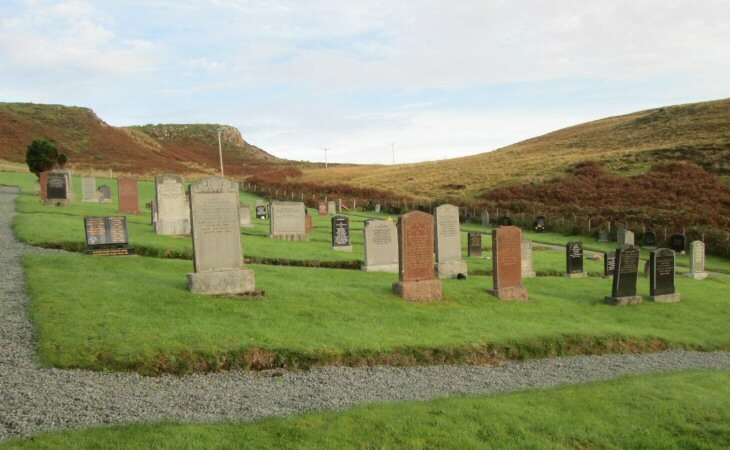 Skye Gravestones | Struan Burial Ground, Bracadale. Struan is a small community lying above Loch Harport, a few miles south of Dunvegan. The burial ground is accessed off a track, which leads of the main road opposite a defunct car park. An older burial ground at the site of the former Bracadale Parish Church, is just under 1 mile to the east, near the head of Loch Beag. Just up the road from the burial ground is Dun Beag, the remains of a broch...well worth a visit.